There is another huge market that many people participate in. 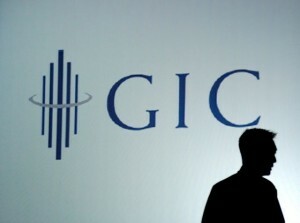 The fixed income market such as GIC’s and bonds issued by government and corporations. These typically are a little more secure and pay a specified interest rate on a monthly, quarterly or semi annual basis to the holder of the investment. These investments are rated as are other investments. Triple A bonds are the best investment and typically pay a slightly lower interest rate due to their perceived security. Bonds that are generally referred as junk bonds must pay a higher interest rate to attract investors and are inherently more risky as well. The bond market is actually larger than the stock market is! These typically are for a specified term at a specified interest rate and you cannot cash them in ahead of time. They are the most secure investment that you can invest in and as a result they also have the lowest interest rates as well. Many people use these types of investments to park money in for a short period of time. While other investors who do not tolerate risk very well will place their money into these types of investments. Interest Income – Government and Corporate Bonds. Companies and governments at all levels will issue bonds again at a specified interest rate and term. Basically you purchase a bond and hold it until it matures at which time you receive your original investment back. They pay interest income to you on a monthly or quarterly basis typically. Call Options are tied to bonds. If a bond has a call option, it means the company can recall the bond at a specified time. Typically they will do this if interest rates have fallen and they feel they can borrow money more cheaply. Selling bonds can be accomplished at any time with most bonds. However you will not necessarily receive the value of the bond. If the interest rate the bond is paying is higher than the prevailing interest rate, the price of the bond will be at a higher level than the maturity value. Correspondingly if the interest rate is lower than the prevailing rate, the price of the bond will fall as well. This is a risk you must take if you are planning to sell early! As with all investments, diversity is a mandatory rule that all inverters try to follow. Never put all of your money into one bond or company. Spread your money over multiple bonds, company’s and industries while all the time maintaining your investments in blue chip type companies. Interest rates vary over the years and the worst thing you can have happen is for all of your money to mature when interest rates are low. Inverters typically will invest in bonds with maturities that vary across many years. For example, if you have $100,000 you might purchase 10 bonds of $10,000 each with maturity dates spread over 10 or 15 years. So in this example, you would have only $10,000 to reinvest every year and if one year interest rates are really low, you do not have your entire investment portfolio to invest at low rates. What Happens to Bonds you Have When Interest Rates are on the Rise? If you hold bonds that are currently at competitive interest rates and the government decides to raise rates, the value of your bonds is going to decrease to reflect this new higher market interest rate. This is only an issue for people who plan to sell their bonds prior to maturity. If you plan to hold your bond until it matures, collect the interest that comes with the bond, then you need not be concerned about this decline. When your bond matures, you will receive your original investment amount back at that time. That’s why bonds and GIC’s appeal to many people who do not want the risk of stocks keeping them up a night. They can go about their daily lives without having to be concerned about whether their investments are at risk or not. Well at least the risk is reduced, although there is always some risk. For more information about investing, click here. I only put my money into safe GIC’s. I know that they do not pay much at all, but I do not have to watch the stock market go up and down and worry about losing my money on the market. We have enough to live on and I want to hold onto what I have.